Wholesale Supplier of a wide range of products which include contoured l.s. belt, abdominal belt, heating pad, pa sling (oxypore) and lumbo sacral belt. Pioneer in the industry, we are engaged in offering an impeccable range of Contoured L.S. Belt. Our offered belt is manufactured using "Ethafoam" back pad hat offers high cushioning in thin sections. 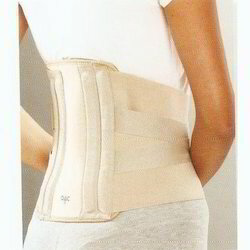 This belt has extra strong elastic ensures good compression and effective immobilization. We provide this belt from us within a committed time frame at market price. 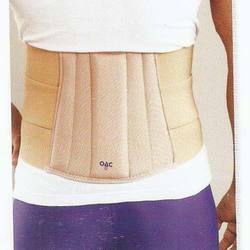 To meet the diversified requirements of our prestigious clients, we are engaged in offering Abdominal Belt. This abdominal belt is well tested on several parameters of quality for ensuring its excellence. 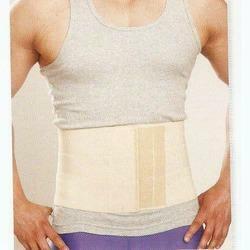 Our abdominal belt provides comfort during sudden movements or coughing in thoracic surgeries. As well, our abdominal belt is accessible in numerous specifications according to the demand of patrons. Our organization has gained recognition as the affluent wholesaler and supplier of Heating Pad. The available heating pads are manufactured under the direction of vendor’s professionals using supreme quality material following set standards. These heating pads have multi layered, thicker insulation with double thermostat ensure full electrical & temperature safety. Customers can easily avail these heating pads from us on diverse specifications. 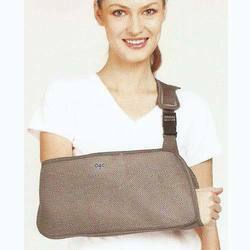 We are remarkable entity, engaged in offering superior range of PA Sling (Oxypore). This product is checked on numerous parameters in order to supply a defect free range to customers. Our product is manufactured using extra thick spacer fabric that ensures very high ventilation Oxy- porous for patient comfort in hot and humid conditions. Besides, the offered product is provided within a stipulated time frame with several specifications. Ideal back support for general use inmild back ache or as a prophylactic aid. Flexible back splints, on wearing takes the body's shape for comfortable immobilization. Elastic with high modulus of elasticity ensures durability and resilience. Double pull mechanism provides extra compression & improves splinting action. Effective design with high value for money. Looking for Oac Products ?